Matsushima is one of the three famous “Beauty Spots” (Nihon Sankei) of Japan. 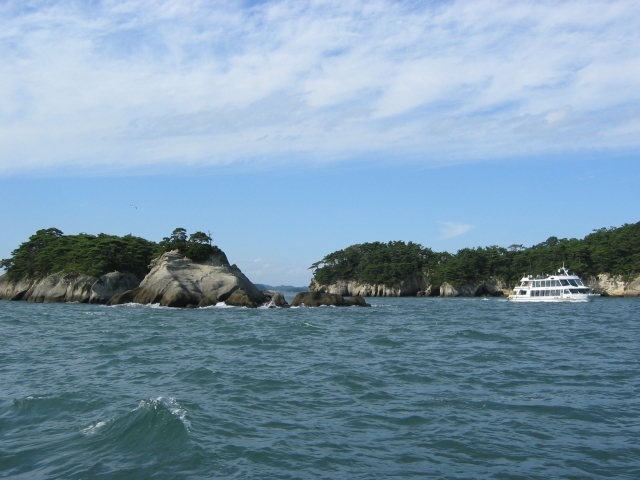 These three spots include Matsushima, Amanohashidate, and Miyajima. These three spots are truly beautiful, and are good destinations for any traveler wishing to see the natural beauty of Japan. That’s not to say they aren’t tourist areas. 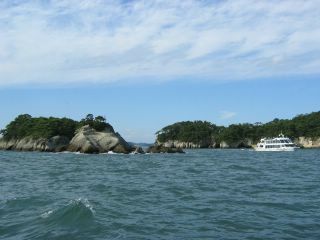 Matsushima literally means, “pine islands.” Over two hundred pine covered islands dot the bay of the Matsushima area. One of the best ways to see many of these islands is to take a boat ride around the bay. Matsushima is located near Miyagi Prefecture’s largest city, Sendai. A map of its location can be seen here at this link. 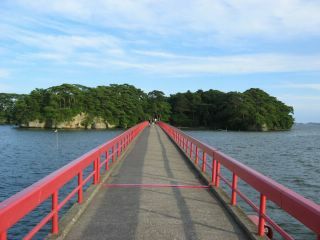 Matsushima is a great place to visit, even for those who might be the type to avoid tourist spots.